Bridesmaid! Time to party in honor of the bride to be! 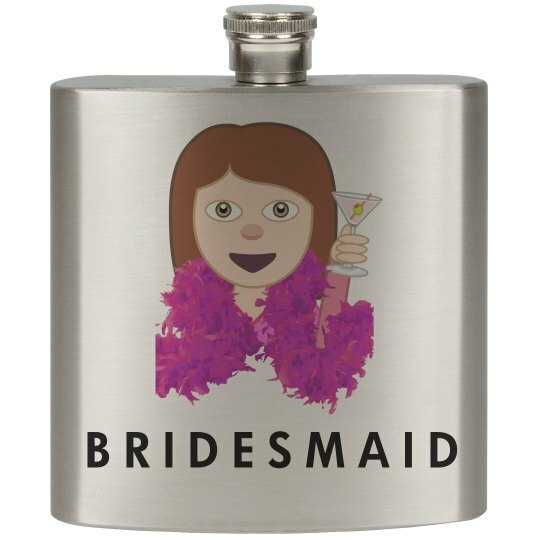 Make sure you have this emoji holding a martini and wearing a feather boa flask! This stainless steel flask is perfect to carry around with you all night.